Born in England of French parentage, Peter Labilliere's first engagement was as a tutor in a London school. During this period he fell for a young lady who, despite his reputed good looks, rejected his overtures. Possibly because of this rejection he forsook teaching and entered the marines where he rose to the rank of Major. During his military service his eccentricities became apparent, and whilst of general amusement, they were all of a harmless nature. After leaving the services he moved to Dorking, where he lived as a tenant in the home of a widow named Watford. Here, the extra income he provided proved a useful supplement to her wages as a seamstress, needing as she did, to provide for herself and five children. He became negligent in his dress, generally wearing a long blue coat with gilt buttons, knee breeches, worsted stockings, buckled shoes and a tricorn hat. Whilst walking he was known to be in the habit of giving a penny to any child he encountered who was able to recite to him the Lord's Prayer. It was his custom each morning to summons the landlady's children to his room by rapping on the floorboards. There they would recite a form of religious devotion that he had taught them and afterwards receive religious instruction from him. Disobedience and inattention were greeted by his military calling out of "Come down, proud Jack," and misbehaviour was met with "order below". He was much given to kindness, and he would frequently purchase items of clothing for folks he found in distress. 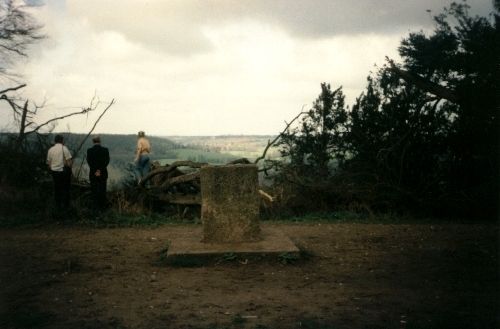 He often resorted to Box Hill, his favourite spot, where he would pass long periods in meditation on the side of the hill. On one such visit he lost his footing, falling into dense undergrowth and losing the sight of one eye. In spite of his eccentricities he remained a lifelong friend of the Duke of Devonshire, whom he visited punctually each year on the 6th of June staying exactly a month. Unusually, his visit in 1799 was extended to three months. On returning home he informed his landlady that he had come back to live and die with her, and that he would depart this life nine months to the day ahead. Almost immediately his health began to fail and, as the fateful day approached he began to suffer greatly. On the predicted day he stretched out his arms, gently folded them, and died. Two final wishes had now to be executed. Firstly he wished that the youngest son and the youngest daughter of his landlady should dance on his coffin. The girl, who's account of the Major has provided most of the known detail, politely declined, having doubts as to the propriety of the desired actions. She contented herself to merely sit upon his coffin. The boy, we are told, complied fully. It is thought that this strange request was the Major's way of indicating that his passing should be a signal for rejoicing rather than sorrow. His other request was that he should be buried upside down at his favourite spot on his beloved Box Hill. The Major himself had obtained permission from the then owner Henry Peters, and all that remained was to effect the interment. 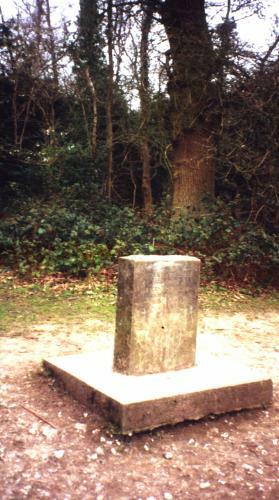 A grave was dug in the shape of a well, its site being close to a hawthorn tree to the west of Swiss Cottage. 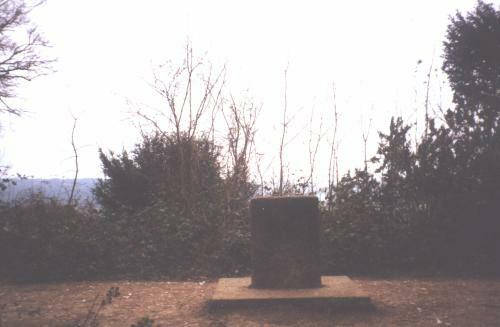 The reputed depth of his grave, 100ft (33m) is not borne of historical accounts. On the morning of his funeral, 11th June 1800, two carts, one laden with sprigs of box, the other with sprigs of yew, passed through the town. All who so desired were encouraged to avail themselves of the evergreens as they made their way to the burial. These sprigs were then tossed into the grave before the inverted remains of the Major were placed upon them. For many years afterwards it became an accepted tradition to visit the grave on the anniversary of his death for the purposes of picnicking and dancing. But why the upside down burial? Tradition tells us that this is because of the Major's belief that when the world at last turned topsy-turvy he would be right at last. This however is doubtful. His surviving diaries suggest an alternative explanation. 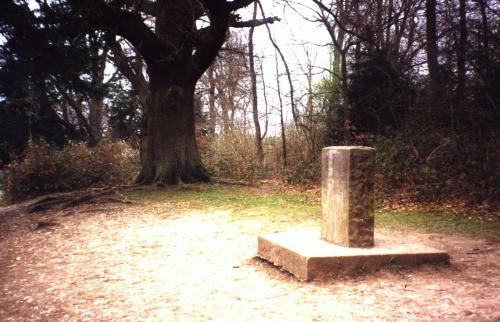 There is a dispute as to whether the stone on Box Hill in Surrey, actually marks the grave or whether his body was later removed for a consecrated burial. It would appear that the grave itself lies a few feet down the escarpment and the original stone was in a highly dangerous position. For safety's sake the modern replacement was sited at a more suitable location, the Major remaining in situ.